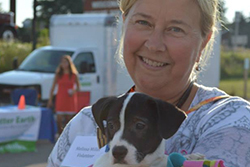 The Wisconsin Humane Society offers a wide variety of events to connect with the communities we serve while supporting animals in need! 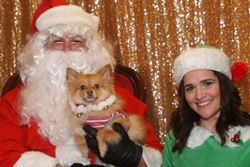 All events listed below are hosted by the Wisconsin Humane Society. 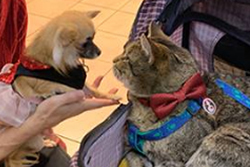 If you're looking for additional ways to support the animals at WHS, consider attending a third-party event happening the community near you. Friday, February 22, 2019 | 6:00 p.m. – 9:00 p.m. In 2019, WHS is celebrating our 140th anniversary with a cocktail-style gala - and dogs are invited, too! The celebration will be held on Friday, February 22, 2019 at The Atrium in Shorewood. This fun evening will feature a silent auction, wine & spirits pull, beverages, hors d'oeuvres, and even a photo booth for people and pups. We hope to see you there! Friday, March 22, 2019 | 6:00 a.m. – 10:00 a.m. 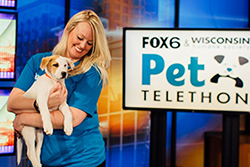 Tune in to FOX6 starting at 6:00 a.m. on Friday, March 22 for our 2nd annual FOX6 & Wisconsin Humane Society Pet Telethon! Join us for a morning of inspirational stories, hilarious antics in our puppy play pen, and countless ways to help us provide lifesaving care to thousands of animals who need it most. 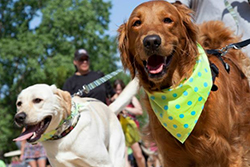 Pet Walk is the Wisconsin Humane Society's annual run/walk to support local animals in need. Join us for the race then stick around for an afternoon of activities for the whole family, including live entertainment, vendors and exhibitor booths, food and beverages, dog agility courses, lure courses, a doggie fashion show, games, prize wheels, and so much more! All proceeds directly support the animals at WHS. Thursday, July 25, 2019 | 5:30 p.m. – 8:30 p.m. 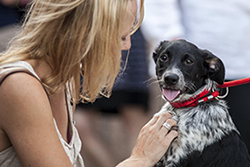 The Wisconsin Humane Society is hosting its 11th annual Feasting for Fido in 2019! Join us for a tasting of Milwaukee’s best vegetarian food where attendees enjoy samples from more than 20 of Milwaukee’s finest restaurants, live music, wine, beer, a silent auction, and more, all to support homeless animals right here in our community! 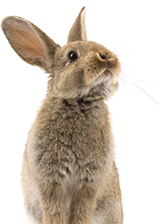 Join TEAM WHS and help save the lives of homeless animals! TEAM WHS is a new charity racing and fundraising partnership, giving 2019 Lakefront Marathon participants the opportunity to run this year’s race on behalf of Wisconsin Humane Society! 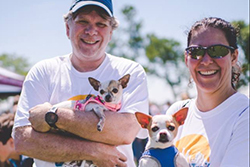 When you join Team WHS, you commit to raising much-needed funds for the 40,000 animals the Wisconsin Humane Society serves each year, and in return, you’ll receive an exclusive Team WHS race jersey, training program perks, and become part of a community of people who are committed to saving the lives of animals in need. 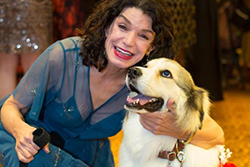 Saturday, October 19, 2019 | 5:30 p.m. – 10:00 p.m.
Join us for the 2019 Paws & Claws Gala, the Wisconsin Humane Society’s favorite formal event of the year! The gala features silent and live auctions, raffles, wine & spirits pull, a delectable dinner, photo booth, and of course, mingling with adoptable pups, our favorite felines, and some of our very best wildlife ambassadors. Sunday, December 8, 2019 | 5:30 p.m. – 7:00 p.m. The whole family is welcome to attend our Hope’s Lights celebration and lighting ceremony to see our building and grounds brilliantly illuminated with holiday lights in honor of homeless animals. 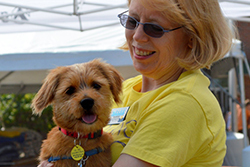 This year’s celebration will include behind-the-scenes tours of the shelter, a special program featuring our guest of honor, beverages and light snacks, and of course, furry and feathered greeters! Thursday, August 15, 2019 | 5:30 p.m. – 8:30 p.m. 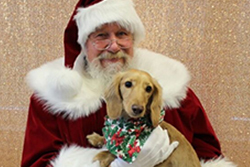 The Wisconsin Humane Society Ozaukee Campus will be hosting its 8th annual Feasting for Felix in 2019. 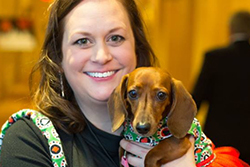 This fun evening features tastings of creative cuisine from some of Ozaukee County’s best restaurants, beer and wine, festive music and our four-legged friends as greeters! 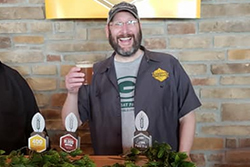 Sunday, December 8, 2019 | 12:00 p.m. – 3:00 p.m.
Saturday, April 6, 2019 | 1:00 p.m. – 4:00 p.m.
Join us for the Wisconsin Humane Society’s 3rd annual Barkin’ Beer Fest in 2019! This fun afternoon includes tastings of amazing craft beers from local breweries, music, a variety of raffles, food trucks, and your own commemorative glass. Please leave your pets at home; this party is just for the humans. Not a beer fan? Designated driver tickets are available for half off! 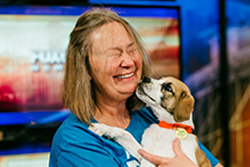 Pet Walk is the Wisconsin Humane Society Green Bay Campus annual walk to support local animals in need. Join us for the race then stick around for an afternoon of activities for the whole family, including musical entertainment, vendors and exhibitor booths, food and beverages, dog agility courses, lure courses, games, a doggie costume contest, and so much more! 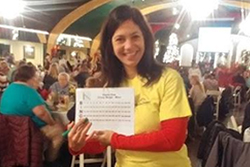 Grab your dauber and your good luck charms, because the best bingo tournament to benefit Green Bay's homeless animals is back! This event will include raffles, dinner, individual bingo booklets and daubers, and of course, plenty of fun! 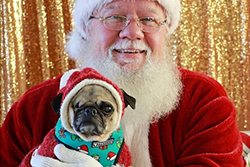 Bring your kids and social pets for photos with Santa! A $5 donation per photo will directly benefit the animals at the Wisconsin Humane Society Green Bay Campus! Enjoy live music, beverages, snacks, and animal greeters while supporting our Door County Campus! This casual event is sure to be a blast for attendees of all ages. We invite you to our holiday celebration for refreshments, a tour of the shelter, visits with animal ambassadors, and family photos with Santa. Pets are welcome! Unfortunately, the current WHS Racine Campus has extremely limited space and we don't have the resources to host events at this time. But there's good news: a campaign to build a new shelter in Racine is currently underway! To see renderings of the proposed facility, see what it will offer, and learn how you can help, please visit www.unleashthepotential.net. There are often fun events going on in the Racine community to benefit WHS – click here to check for upcoming third-party fundraisers near you! 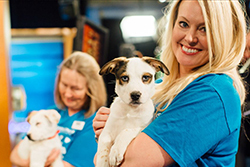 Contact our events team at events@wihumane.org or call 414-ANIMALS!